Now with giant molten sword! 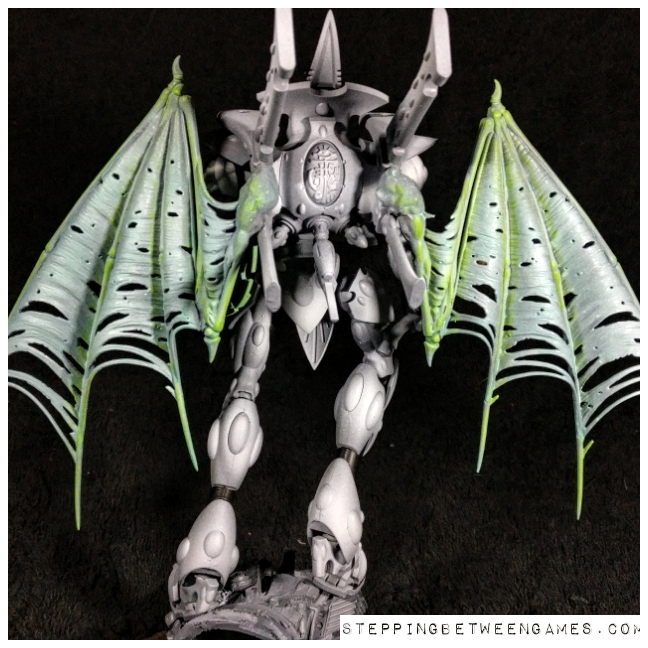 As we saw in the last episode of Eldar Wraithknight With Wings (EWWW), it was a bit dull looking. So with that in mind let us see what I have done. 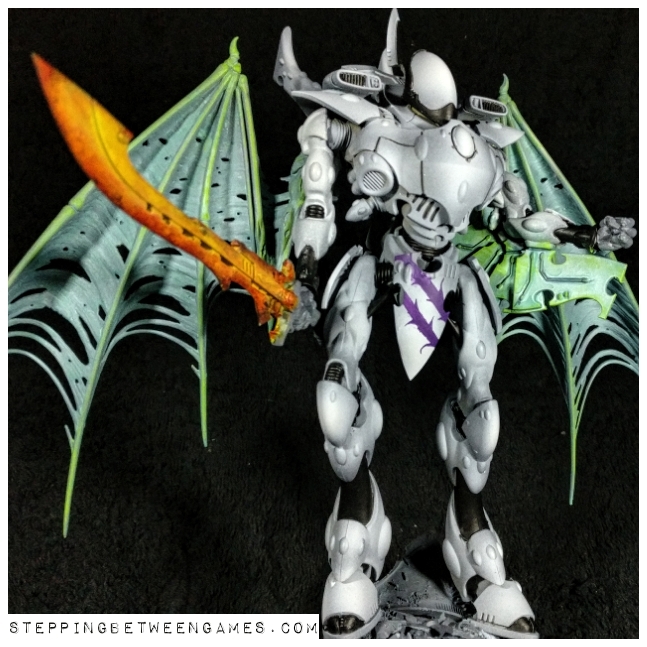 As you can see I have added a splash of colour, with both the wings and the sword. The wings are meant to look more ethereally. The colour is built up from the grey primer with white highlights. After that it was some focussed washes for the majority of the wings. The style for the sword has been doing the rounds online recently, I have seen it several places. So I took all their patient and professional advice and managed to turn out this, which I am pretty pleased with. Lots of thin layers and a Bloodletter glaze to bring it up. What do you think folks? Should I lighten up the core at all? There we have it, another week of slow and steady progress. Quite a while since I did such a singular project as this. I have spent as much time come up with the colours and ideas as painting it so far. Normally I just jump into things and figure them out as I go.